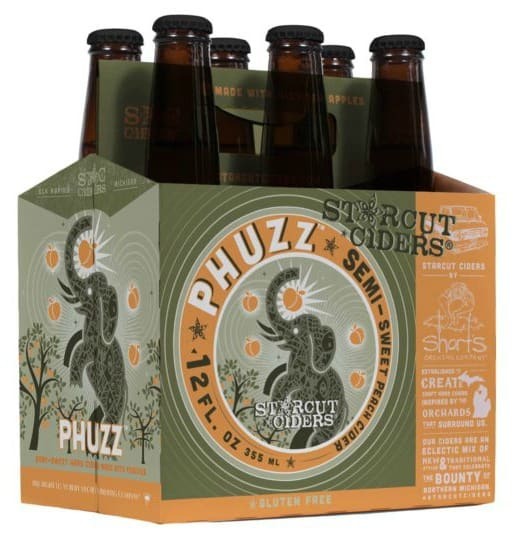 Elk Rapids, Michigan, based Short’s Brewing Company’s cider division, Starcut Ciders, announced the release of Phuzz, a 6.9% ABV semi-sweet cider fermented with Michigan apples and peaches. The cider is a brilliantly clear amber-straw color and has aromas of fresh apple and peach. Phuzz is mildly tart and subtly sweet with flavors of bold apple and pleasant lingering peach. Phuzz will be distributed throughout Starcut’s expanded Great Lakes area footprint and in Colorado soon after.